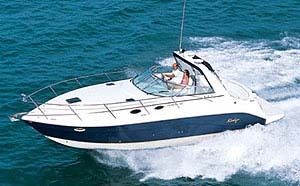 This nicely equipped bowrider offers a choice of three different propulsion packages. 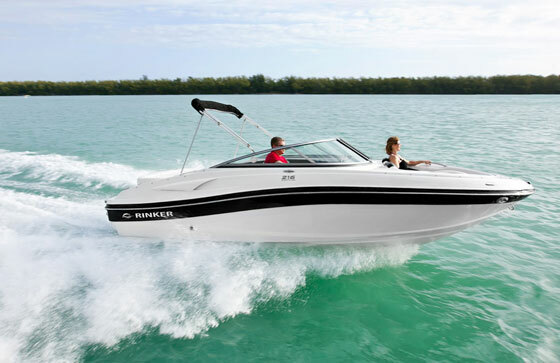 If you look at the new Rinker Captiva 196 bowrider, you might notice something different about it: outboard power. Then again, you might see a sterndrive hanging off the transom. It’s available with both. 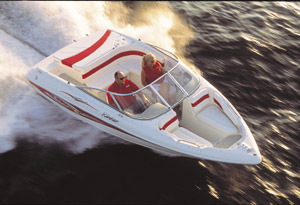 The Rinker Captiva 196 bowrider is available in two stern-drive configurations or as an outboard model. Why is this significant? 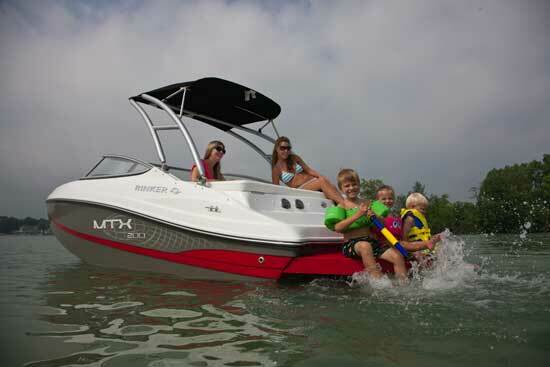 Well, it marks the first time in eighteen years that Rinker has offered outboard power on any of its models. 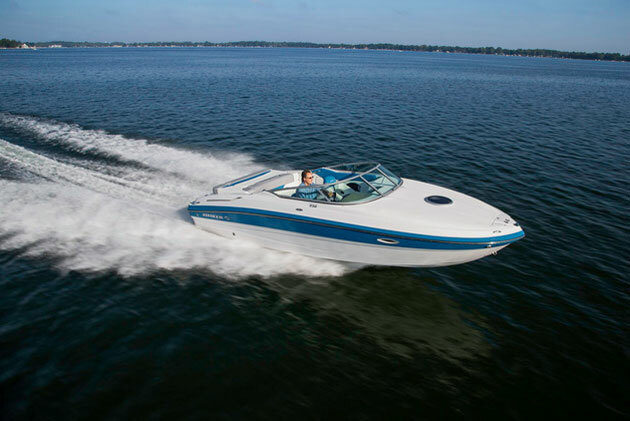 Built in Syracuse, Indiana, Rinker boats are solid sellers in the heartland, and the Captiva 196 I/O is designed to sell well in the midwest. But there’s a whole lot of water in coastal regions—yes, really—and on the coast, and in northern climates, outboard power is the preferred propulsion. 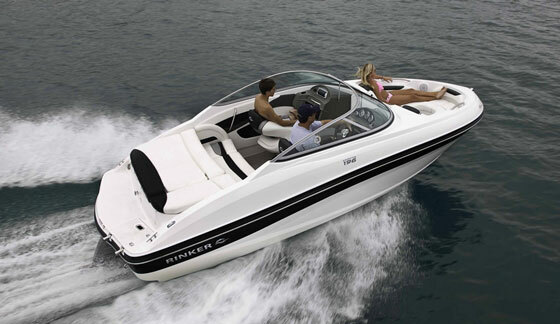 As difficult as it is to grow in a tough economy, Rinker realized it needed to branch out a bit. 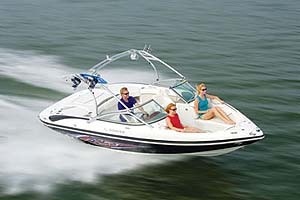 The hat trick means that buyers have three power options: outboard, sterndrive V6, and sterndrive V8 power. That kind of versatility should help attract the coastal buyers, entry-level buyers, and those looking to move up to V8 power in a convenient runabout package that can still be towed with a small SUV—and even some compact SUVs. Regardless of engine, the Captiva 196 BR comes standard with a fiberglass cockpit liner with LED cockpit lighting. The helm is fitted with full instrumentation, power steering, and a sport steering wheel—and no woodgrain plastic. To port, the dash features a stowage compartment, a grab rail, a 12-volt power outlet, and a Sony AM/FM CD stereo with MP3/iPod and auxiliary inputs. A generous swim platform with a three-rung telescoping swim ladder and a ski-tow eye also are standard, as is two-tone gelcoat. A portable carry-on cooler fits beneath the rear bench. In sterndrive trim, the 196 comes with a full-width sun pad with a nifty hinged cushion that lifts to expose a walk-through to the swim platform. The walk-through also features a fully finished stowage compartment underneath. No bare fiberglass sprayed with gelcoat here. 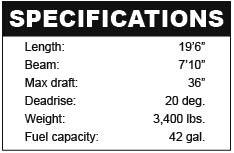 In terms of standard features, that’s about it, unless you count things required by the U.S. Coast Guard like a bilge blower or a navigation light on the bow. (No, we don’t count them, either.) Base price with a MerCruiser 4.3-liter MPI V6 and catalyst exhaust is $31,277, and the boat also comes with a matching trailer. Now, for a few dollars more the 196 could be trimmed out to a higher standard; but at 3,400 pounds, the boat moves along nicely with stock V6 power, so save your money for other options. The stainless steel propeller option will make the most of V6 power, so that’s a smart buy. We also like the acrylic bimini top, snap-in carpeting, and a bow filler cushion, which is a great addition to the gently angled bow lounge backrests. 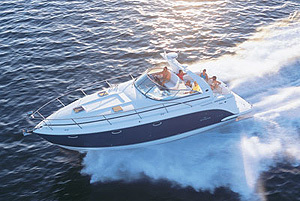 Just by adding a few options, buyers can get a lot of boat without losing the convenience of a small runabout.